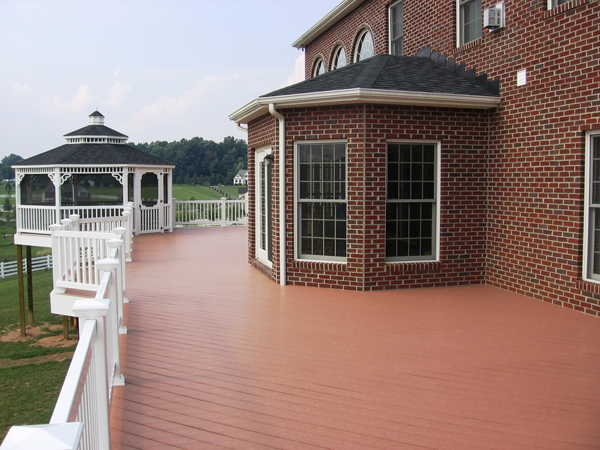 Whether you are starting from scratch or wanting to redo your old home’s deck, there are many beautiful new options available for homeowners. Whether you are starting from scratch and curious about the latest deck design trends or wanting to redo your old home’s deck to better reflect the times and your tastes, there are many beautiful new options available for homeowners. Here are some of the best new trends in deck design to inspire you and get you started on your new deck design. No, the title isn’t a typo; using this design trend you can enjoy nature in your deck and not just on it. One new deck design trend is to work with surrounding trees and plants to make a stunning natural deck (instead of cutting them down or moving the deck somewhere else). Consider building your deck surrounding a particularly beautiful and healthy old tree in your yard. To add more to the view, incorporate potted plants or flowers into your deck design. This design makes your deck a cool and inviting place to hang out, enjoy company, and enjoy the beauty of the outdoors. If you want to incorporate a hot tub or spa into your deck but don’t want to worry about anyone stepping into it when it’s covered or having to constantly worry about pests, animals, or debris entering it, consider hiding it as part of your deck. Concealed spas are a great option for those that would love to enjoy a soak in the great outdoors but also avoid the stress of maintaining an exposed hot tub. Ready for the Deck of Your Dreams?